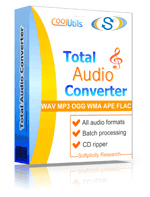 Transform OPUS to WMA audio files online and without ads! Try a OPUS to WMA Online Converter or take our batch App for more! Description OPUS is one of the most versatile audio codecs designed for high-speed online media data transmission. Having scrutinized MP3, which is still the most popular audio format, specialists from Mozilla Corporation and Skype Technologies S. A. joined efforts to produce an ultimate audio codec, which would inherit the advantages of MP3 yet use a compression scheme that would help files retain original sound quality. The biggest pluses of OPUS are low coding delay, multichannel sound and high compression levels. OPUS files combine SILK codec (Skype Technologies) and CELT codec (Mozilla Corporation).